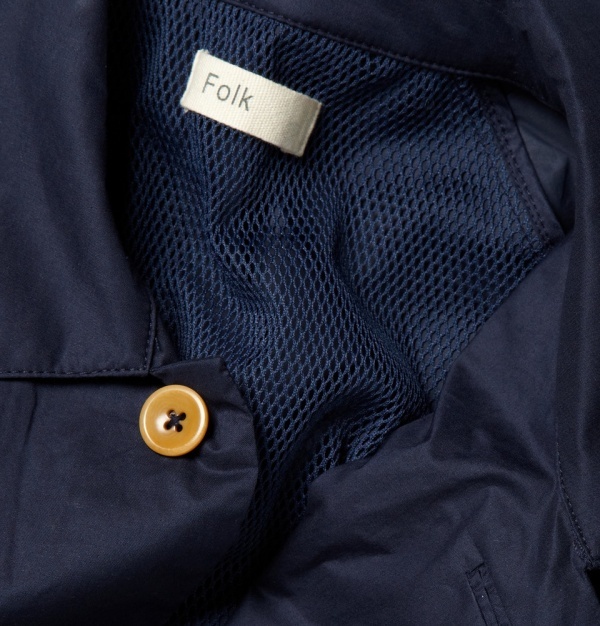 Combat this year’s mild winter weather in this lightweight, versatile rain jacket by Folk. Its mid length cut and back vent are two key details that will help keep the elements out and keep yourself dry and comfortable, no matter what temperature fluctuations you might experience. Since it’s designed to fit over a suit jacket, it fits a little on the loose side. So it’s recommended that you order your normal size. 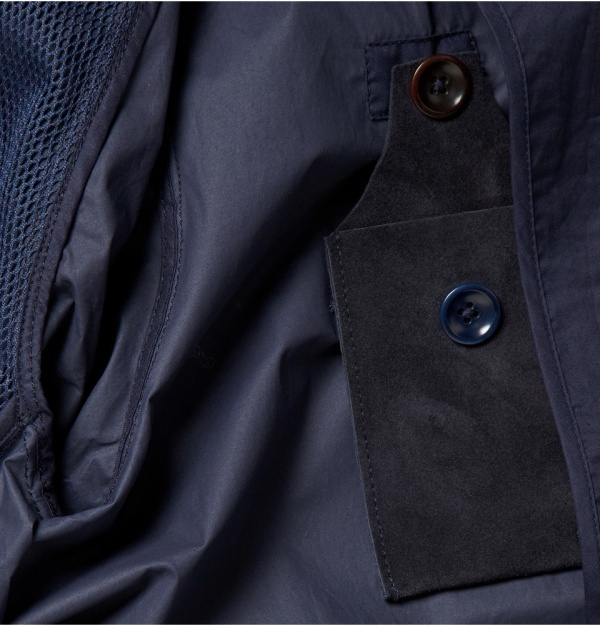 Other details include notch lapels, raglan sleeves, button-fastening front flap pockets, back button-fastening vent, internal pouch pockets, and button fastenings through front. Partially lined. 100% cotton. 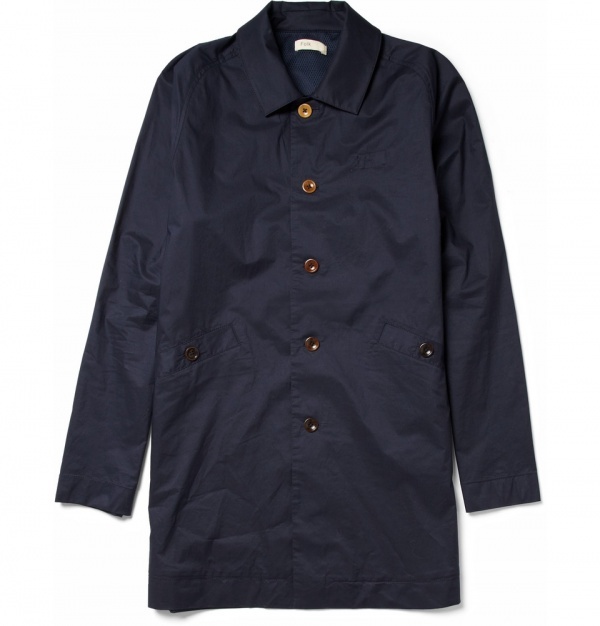 This entry was posted in News, Outerwear and tagged Folk. Bookmark the permalink.